How Can Smart Walk Help? Fostering safer mobility, independence, and autonomy for the visually impaired. We are currently giving our device to visually impaired users to use, full time for a 3 week study. After the study, users may keep the device for free. To receive your very own, free Smart Walk device, please email us at SmartWalkDevice@gmail.com or reach out to us through our contact form. We look forward to serving you through Smart Walk. 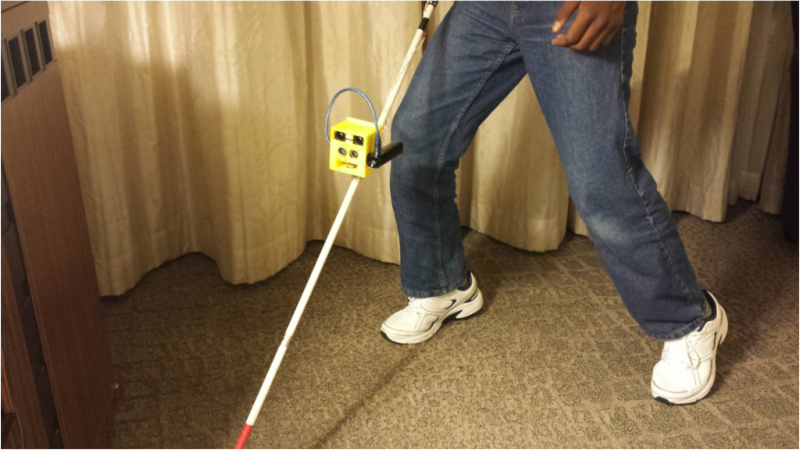 Smart Walk is a low-cost, user-tested, sensor-based, add-on device to the traditional white cane used by the visually impaired, empowering users with safer mobility, independence and autonomy. Smart Walk increases the cane’s reach threefold, detecting objects up to three meters away and conveying obstacles’ distance information to users through varying levels of vibrations at the cane’s handle. We have conducted two rounds of user testing while working closely with our local blind center and are currently conducting a 2-3 week long study. ​Driven by a committed, mission-oriented team, we look forward to helping you reach your goals with the trusty aid of your Smart Walk. Watch Smart Walk in action!